Good afternoon friends! I hope you are having a beautiful and blessed Sunday. Around here, there are two little boys bouncing around having fun and I am parked right in front of the news with a hot cup of coffee. So this week has been a set of random challenges that I have tried to navigate through it with a open mind and a open heart. I don't really handle changes or challenges easy. Normally I fight through them and end up more frustrated than when I started. Speaking of fighting, I never really considered myself vindictive. I already briefly spoke about this already but I thought I would address it again. I would self describe myself as a emotional loyal person. But I was talking with family and friends who reminded me that it is possible to be vindictive and still be a good person. What!? How is that possible I wondered!? I am very much a liberal but I am someone who also believes in an eye for an eye. I know God preaches to turn the other cheek but that has proved to be harder than expected for me and actually harder than expected for most people actually. Believe me I am not the only person in my family that struggles with this...but even though it is maybe a fault to us but its also teaching us to learn better self control and forgiveness. We were not put here to be perfect. We don't have to accept what we are given...instead we can ask for what we want and focus on the good instead of sitting back settling for a lesser life. We can ask for God's help in everything and let him control the outcome instead of us forcing life to be something that we don't really need or want. I want negative energy to leave me. I want a better understanding of who I am. I want a better relationship with my family and friends. Thinking more positive than negative will bring more positive energy into your life by just your simple thoughts. And sometimes asking for we want doesn't always mean we will get it. Remember that God has the ultimate plan of your life...not you and not your Day Timer. The reward for asking for what we need and want is becoming intimate with God. We also learn what we really need vs what we really want. God doesn't give us everything we think we need. I am still trying to figure out life one day at a time. 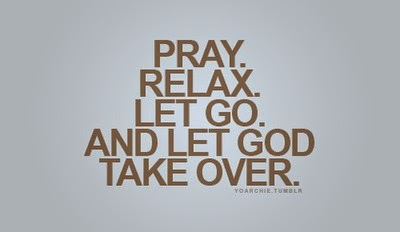 I am trying to relax more and try to just put all my faith in God to take me through it all. I am thinking that once I get this life figured out, it will be over. There is so much to see, to learn, to do, and it goes by in the blink of an eye. I trust God to bring me through all the good times as well as all the challenges. God there is for us through everything and if we all just pray a little bit more, let go of the small things and let God handle the big challenges, we will all get through it and in the process learn so much about ourselves. 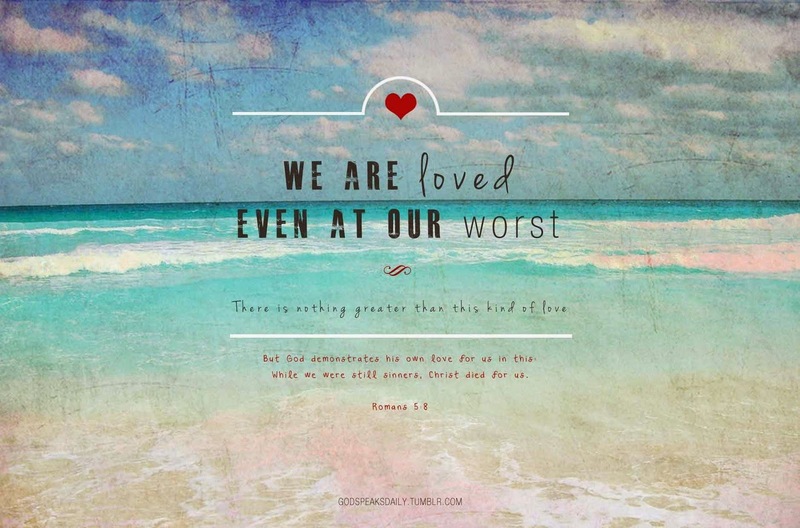 God isn't just there for us during the difficult times. He surrounds us all and when life is going good and according to " your plan " ;its really God's plan that you are happy with. Have faith that he knows what he is doing and will never guide you down the wrong path. Take that with you along your week and maybe it will make the good times sweeter and the hard times easier.